Lighting is an essential part of any interior decor, and one we shouldn’t take for granted. From simple table lamps, to overhead chandeliers, to hidden strip lights and spotlights, they all play a part in adding character, personality and ambience to your home, and you should take the time to consider how these features will be used. There are lots of tips and tricks to utilise when planning the lighting in a room, ways to use lights to make the most of a feature, and ideas to create a wow factor with just lights. I’ve put together some hints and tips on creating smart lighting that will last for many years in your home. Read on. Obviously there’s a big move towards LED lights now, and it really is the smart way to light your home. Environmentally, it’s the responsible thing to do, and we should all be changing our incandescent bulbs for LED versions. Changing to LED reduces energy consumption massively helping to create a sustainable future, and lessen the impact of human living on the planet. There’s also a massive reduction in electricity costs compared to incandescent bulbs. If you run 25 bulbs in your home, LED versions will only costs £21 over 1 year, compared to £273 for incadescent versions. And of course the LED versions will last for around 15 years. Of course you pay more for them at the outset, but they soon pay for themselves based on these figures. If you want to find the best light bulb to fit your home, check out sites like Which LED Light which compares all those out on the market, finding you the best price and solution. There’s now such a wide variety of LED light bulbs that you won’t be restricted in terms of your lighting choices. You can pretty much choose any light style you like, then add your LED bulb in the correct shape and fitting, even adding a bulb suited for dimming if you need. Some of my favourite lighting solutions currently are those of the more industrial and urban style, and even that of a western look. 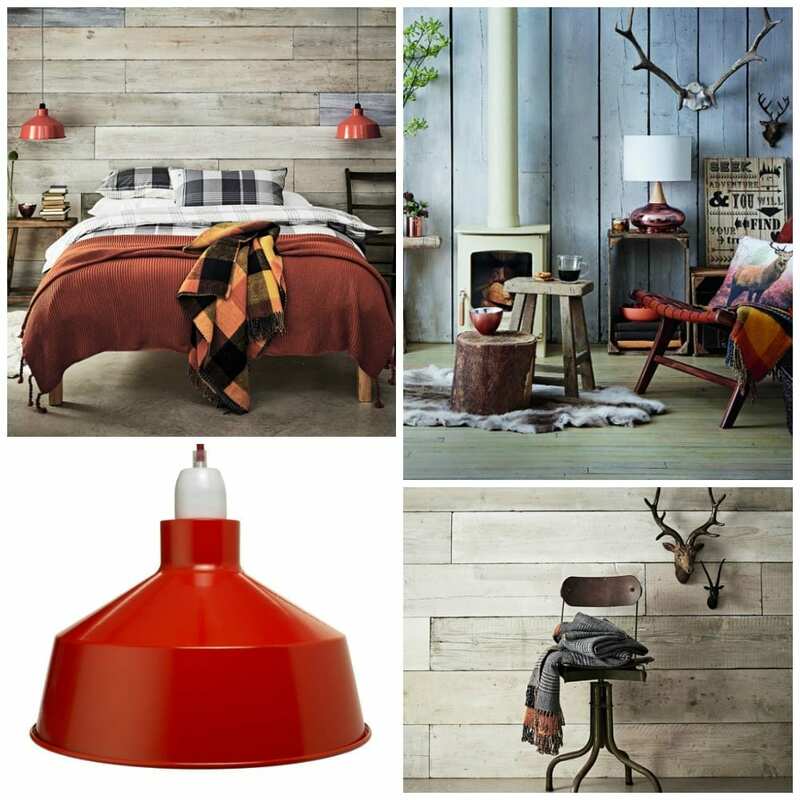 Sainsbury’s have a great selection of these pieces as seen on the House to Home website currently. If the more utilitarian look isn’t for you, how about using a chandelier as a wow factor, and adding your candle shaped LED bulbs for the finish? This one is featured on Houzz and features a stunning centrepiece amidst the quite eclectic decor. The print on the ceiling helps draw your eye upwards to dwell on the light fitting too. 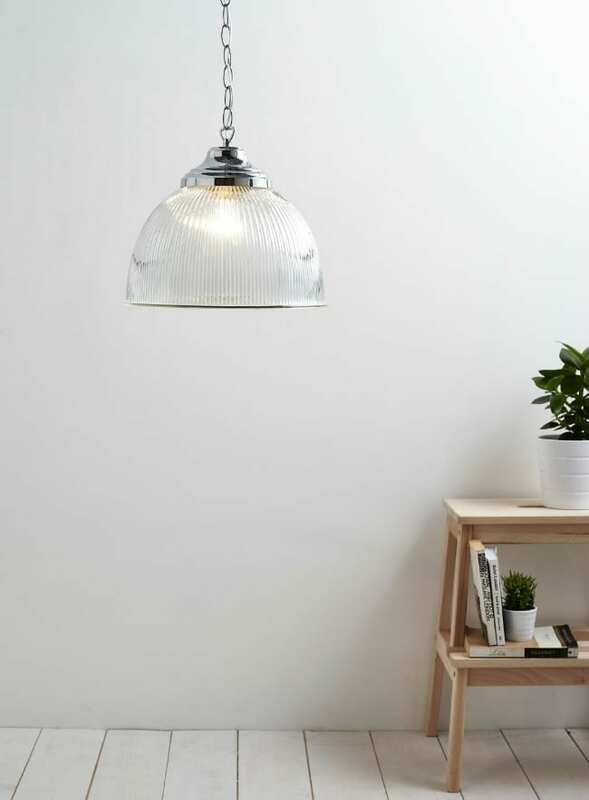 Finally, you know how much I love a good contemporary pendant and this one from BHS ticks all the right boxes for me. Add in your dimmable LED light bulb and you have a stunning light for any hallway or dining space. So, there you have it, the smart way to light your home. Don’t compromise on your light fittings, but even more importantly consider the type of light bulbs you add to them. LED is the way forward both in terms of sustainability and energy cost savings. Just do one or two at a time and give yourself peace of mind in your home lighting. Lighting is so important in the home, thank you for your advice and suggestions, great photos too! Light is so important in a kitchen, and in a small house more light will mean feeling less closed off.so one should take care of this…I really like the above pictures that you posted…and also discuss lots of tips and tricks to light our home…. Thanks for sharing these tips with us , keep posting…. Great write-up about LED lights. I made the switch over to LED lights about a year and a half ago and haven’t looked back. In talking to my parents, however, the one thing LED’s seem to lack (although it doesn’t bother me) is the natural feel of a good incandescent. I wonder if it’s just a perception the older generation has as they grew up with incandescent. LED bulbs are awesome. They are so much better than the CFLs that everyone was trying to push a few years back. You are not confined to just any light color either. Some smart LEDs have the ability to change from a soft yellow glow (like an incandescent) to a bright blue/white light (like a fluorescent). For a real “wow factor,” some others even have the ability to change colors. This looks really great! LED lights are really versatile and can save a lot of money. Thanks for sharing! Lights can add a wow factor to a room as much as the wrong choice of fitting and bulb can be detrimental. And, of the course, the next big things are smart bulbs which provide even more flexibility (at an increased cost.) It will be fascinating to see some of the design ideas around these. Thanks for sharing wonderful post with us. Your tips are really beneficial for everyone. Hope to see more stuff from your side..